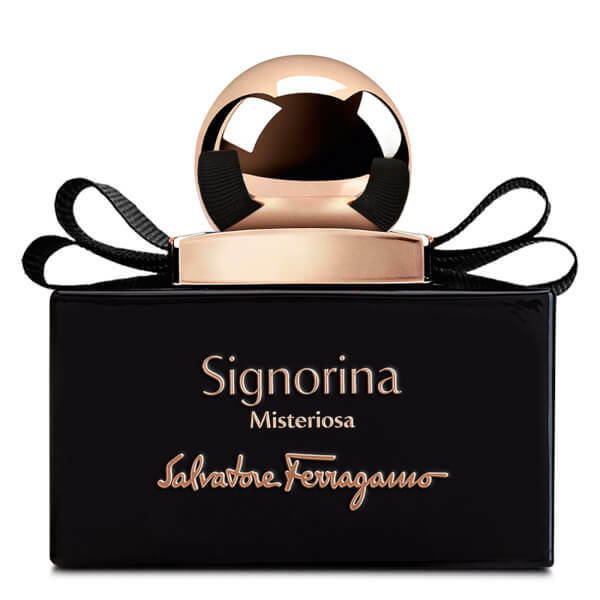 Discover the white floral fragrance of Salvatore Ferragamo's Signorina Misteriosa Eau De Parfum. Wild blackberry and neroli set the tone, accentuated by aromatic orange blossom and tuberose in the heart before resting on a mysterious base of patchouli and black vanilla. 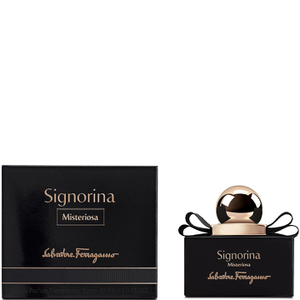 Housed in an elegant bottle accentuated with bow detailing, the perfume is ideal for any occasion. E.N. 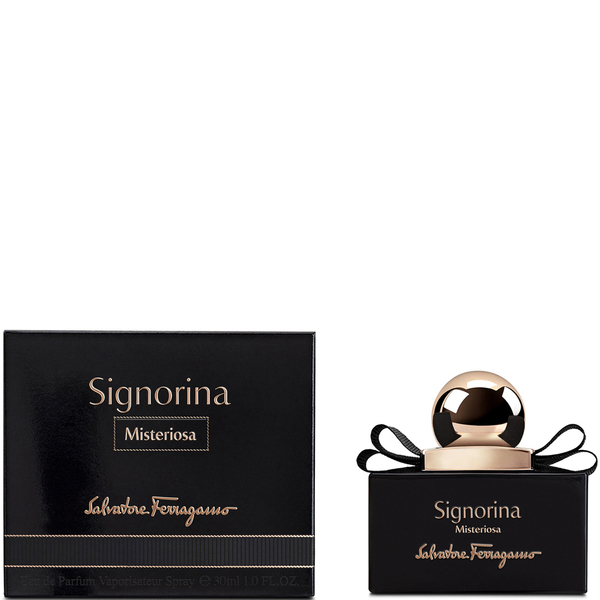 Top Notes: Wild Blackberry, Neroli. Base Notes: Patchouli, Black Vanilla.